As China battles the twin challenges of rapid city growth and extreme weather, it is adopting a new tactic: Turning its cities into giant sponges. The effort, launched by Chinese President Xi Jinping, relies on a range of innovations, from green roofs on buildings to more urban wetlands. It is already being hailed as a bold step to solve some of the environmental problems plaguing the world's most populous country. "It's a timely reminder that dealing with urban climate challenges requires a holistic approach," said Sunandan Tiwari, a sustainable urban development expert at ICLEI - Local Governments for Sustainability, a global network of 1,500 cities, towns and regions. 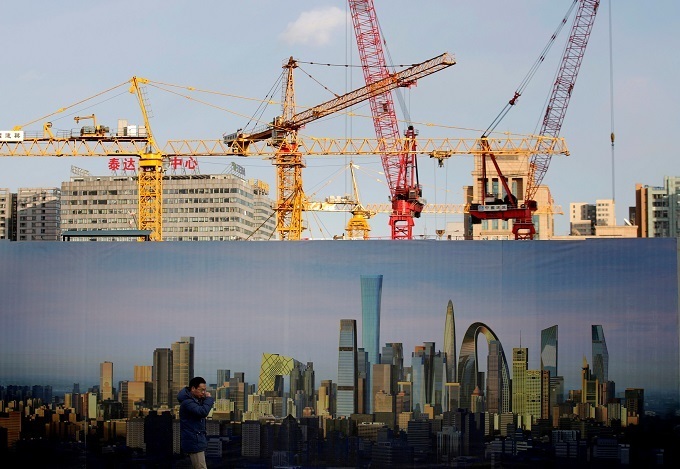 Like many large urban areas, Chinese cities are grappling with both rapid urbanisation - more than half of the country's population lives in urban areas - and extreme weather, such as severe floods, water shortages and heatwaves. Both problems can leave more people at risk - but the sponge city effort, launched in 2015, aims to reduce the threats. The cities, including the capital Beijing, Shenzhen and Shanghai, receive funds and practical help to redesign their urban areas in a water-sensitive way, with the aim of turning 80 percent of China's urban areas into sponges by 2030. "Cooling is largely seen as a co-benefit of sponge cities. But with record temperatures in China and many parts of the world, it is becoming a key element in planning for climate-resilient cities," said Boping Chen, China director at the Hamburg-based World Future Council, a think tank. GETTING HOTTER Shanghai, China's most populous city with 24 million people, baked under a record high temperature of 40.9 degrees Celsius (105 degrees Fahrenheit) last July even as southern China was hit by torrential rain and floods. Efforts to build sponge cities aim to deal with both problems - and improve life for city residents. "It's not just about limiting the damage of flooding, it's also about coping with rising temperatures, improving urban bio-diversity, better public health and quality of life," Tiwari, of ICLEI, told the Thomson Reuters Foundation. Lingang, in Shanghai's Pudong district, has invested 800 million yuan in a 79 square km (30 square mile) area it hopes will become China's largest sponge city - one that experts say could be a model for other cities lacking modern water infrastructure. "Many of the sponge cities have done really well but it is a long-term task that needs to be done in a systematic way," said the World Future Council's Chen. While China faces formidable financial and logistical challenges to creating sponge cities, Italian architect Stefano Boeri has plans to make "forest cities" in the country. In total, Liuzhou's forest city aims to host 40,000 trees and almost one million plants from more than 100 species, planted over buildings to improve air quality, decrease temperatures and contribute to biodiversity, Boeri said. The city is expected to absorb almost 10,000 tons of carbon dioxide - the equivalent emissions of 2,000 passenger cars driven for a year - and 57 tons of pollutants per year. The greenery will also produce some 900 tons of oxygen every year, Boeri said. "Bringing forests into the city is one of the most radical and efficient ways to deal with climate change," Boeri told the Thomson Reuters Foundation. "We sometimes joke and say we're building houses for trees," he said. To increase energy self-sufficiency, solar panels on the roofs will collect renewable energy to power the buildings, while geothermal energy - heat and cooling drawn from constant temperatures underground - will power air-conditioning, adding to the project's green appeal. While China's sponge city programme is the most ambitious of its kind, urban planners have embraced nature-based solutions to heat and water worries in other parts of the world too. The sponge city initiative takes inspiration from the North American concept of low-impact development, sustainable urban drainage systems in Europe and water sensitive urban design in Australia and New Zealand, all of which mimic nature's water cycle. Officials there published a climate adaptation plan in 2012, but planners have been thinking about the valley city's micro-climate as far back as 1938, according to Hans-Wolf Zirkwitz, head of Stuttgart's Office for Environmental Protection. "Even before we knew about climate change, our planning has been optimised with regards to the climate and improving air quality, because of our local climate conditions," Zirkwitz told the Thomson Reuters Foundation in emailed comments. City officials, for instance, have created green ventilation corridors to enable fresh air to sweep down from the city's surrounding hills and building regulations that aim to keep these corridors free from new construction. Human frontiers: How much heat can the body and mind take?